I love food. My kid loves eating. I love cooking. My kid loves science. And it all comes together for Science Fair Projects, where you can play around with fungus and eat the results! Science Fair participation is not obligatory in the first grade in our school district, and in fact as far as we can tell, only a handful of first-graders participate, but for us, it is a wonderful opportunity to take our mucking about in the kitchen to a molecular level. We’re talking fungus, we’re talking yeast, and not only are we going to blow up balloons without expending any breath of our own, we are also going to massage the judges with some still-warm bread. 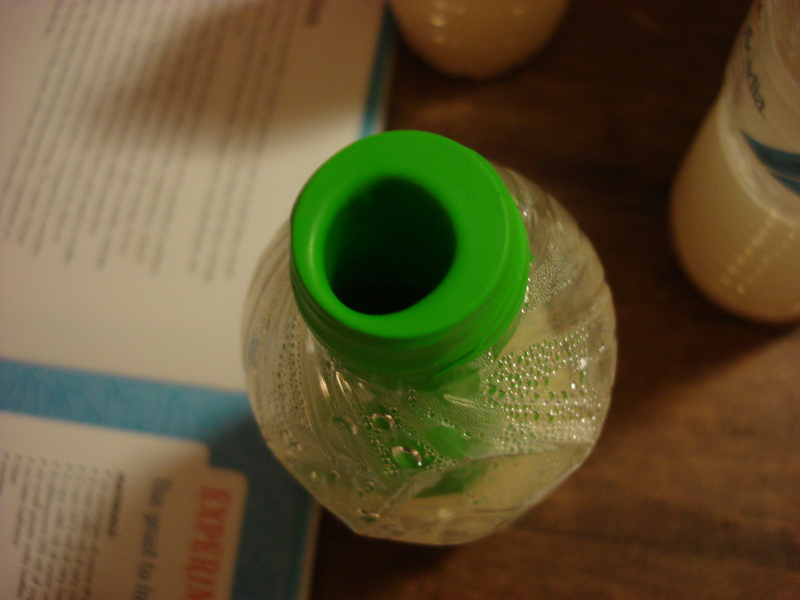 Our new favorite book is Kitchen Science Experiments by Sandipta Bardhan-Quallen. Full of quick and easy food experiments and explanations in a kid-attractive format, we borrowed it from the library and ended up buying it because they wouldn’t let us renew it anymore. 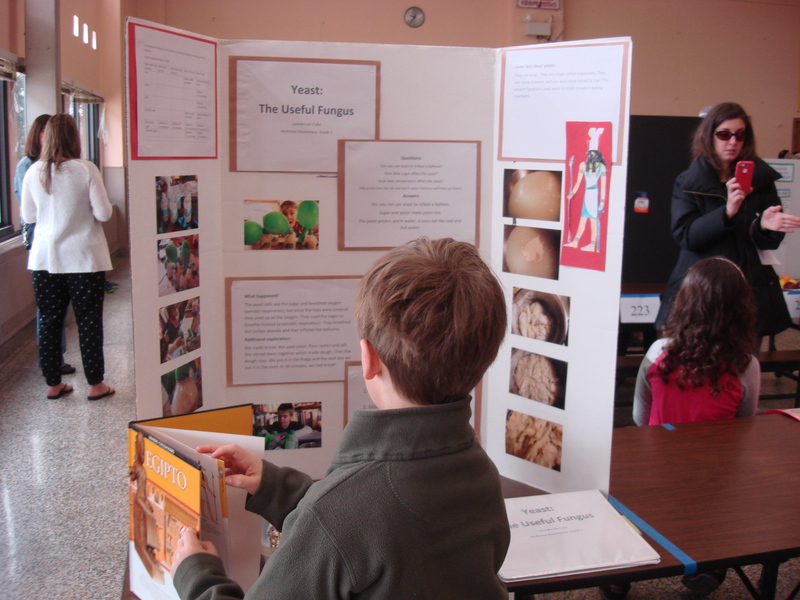 And it gave us this year’s science fair experiment for which my little guy won a special K-4 prize for creativity. 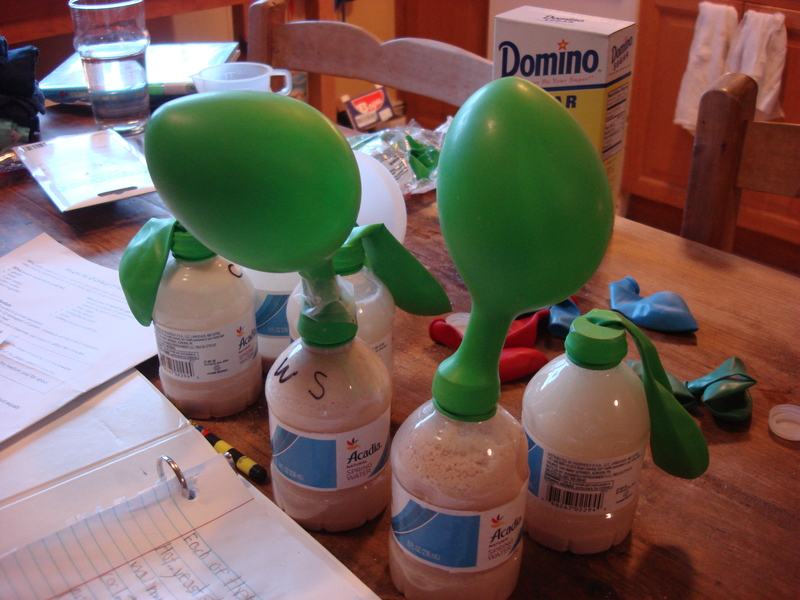 For our experiment we used the power of yeast to blow up balloons. We learned about yeast and the conditions it prefers (won’t tell you the results because you need to try it yourself) and to take it a step further, we made no-knead refrigerator bread (which eliminates variables if you are doing science and dodges serious kneading and proofing if you are an overwhelmed mom) that we took, still warm, as part of our presentation. I will give you the no-knead recipe tomorrow (because you need it! ), but for now…it’s just the book recommendation and a couple of pictures. Enjoy! Yay for our junior mad scientist! 😀 xo! I was just reading about Noma…that is some crazy deep stuff….